Envy Medical Night Cream 1.0 Review (2018): Is It Worth Buying? 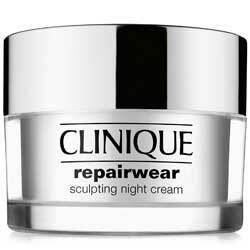 Envy Medical Trifecting Night Cream 1.0 Review: Ingredients, Side Effects, Detailed Review And More. What Is Envy Medical Night Cream 1.0? Envy Medical Trifecting Night Cream 1.0 is a night skin treatment that is designed to improve the skin texture and tone, brighten and reduce the fine lines. It helps to restore the skin moisture that ensures it remains hydrated and soft. It utilizes the potent retinol formula that supports cell turnover in order to reduce the appearance of aging signs and skin damage. It is rich with the antioxidant that aids in restoring the skin tone and texture and rejuvenate the skin. It is manufactured by the Envy Medical. 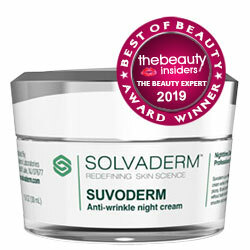 The manufacturer claims that it is a solution to aging problems that includes the fine lines, wrinkles, uneven skin tone, dark spot, and blemishes. It helps to treat this aging signs and soothe the skin giving it a calm feeling. This review gives more details about Envy Medical Night Cream 1.0 that helps the user to learn more about it. It provides the benefits, formula, and it works that enables it to deliver desired results. Envy Medical Night Cream 1.0 – Does It Really Work? Envy Medical Night Cream 1.0 consist potent formula that helps to support the cellular turnover, rejuvenate the skin and brighten it. This helps to improve the skin appearance and reduce the aging signs. It utilizes its main ingredients retinol that aids to stimulate the skin cell health and make it function well. This helps to improve the skin tone and texture. What Are The Ingredients In Envy Medical Night Cream 1.0? Lumixyl Peptide – it reduces the dark sport to brighten and improve the skin tone. Encapsulated Retinol – it improves skin tone and texture. PCX Technology – it provides the skin with the antioxidant effect and soothes it. Shea Butter – it helps to restore moisture, soften, and calm the skin. Although it give you itchy skin! Ceramide – 3 – it boosts the lipid barrier in the skin that helps to rehydrate aging skin. Hyaluronic Acid – helps to replenish hydration. Namely, some people complain that their skin dries out after using hyaluronic acid. 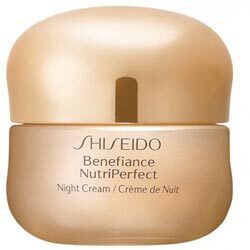 To obtain the maximum results from this cream, you are recommended to clean the skin first and dry it. Then apply a small amount of the cream to face and avoid the eye area. You should stray applying in evening and then thereafter at night when the skin has tolerated it. It reduces the dark spots and fine lines. It provides the user with even-toned skin. Does Envy Medical Night Cream 1.0 Have Any Side-Effects? It can cause some allergic reaction if you are allergic to some of its formula. 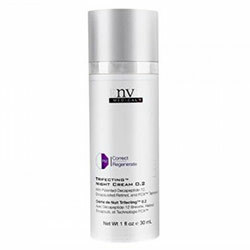 Envy Medical Trifecting Night Cream 1.0 is one of the skincare products that help to improve the skin tone and texture. Its review emphasizes on how it delivers its desired results. It helps treat the aging signs and soothe the skin.